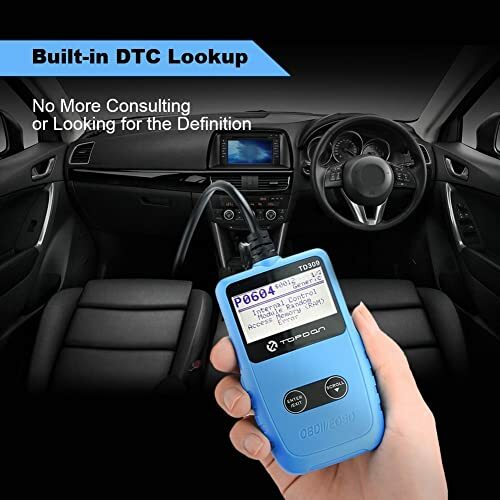 There are tons of OBD scanner brands out there. And each OBD manufacturer markets its products as the best. That sort of leaves buyers at a loss. It makes it hard to know the actual strengths of a brand. Today we’ve taken the liberty of identifying the top OBD scanner brands and their strengths. Hopefully, this can make your work easier the next time you’re comparing one brand with another. Note that they are organized in ascending order, not according to their popularity or strength. Ancel is an OBD scanner brand under the company OBDSPACE Technology Co. Although it’s headquartered in China, OBDSPACE has offices and operations worldwide, including in the USA. 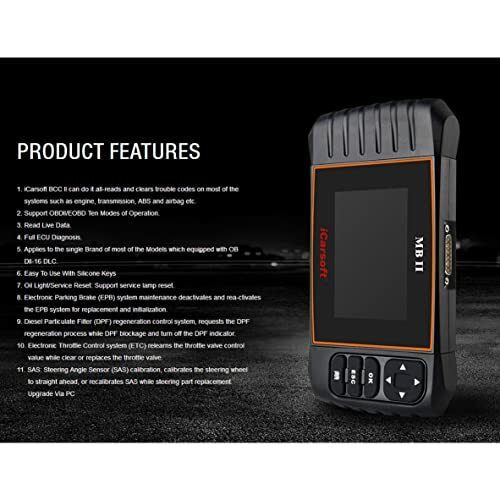 More importantly, Ancel is one of the highest rated and top selling brands of OBD scan tools. The Ancel AD410 not only supports all OBD2 protocols but also works on almost all OBD2-compliant vehicles. 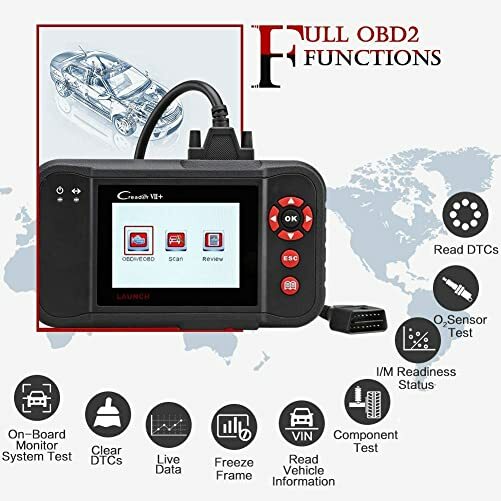 Functionally, this OBD2 diagnostic tool can scan the engine, turn off the MIL, diagnose the EVAP system, check for I/M readiness, display live data streams and pull freeze frame data. Ancel AD410 reads & erases error codes, reset monitor when CEL comes on. The founders of AstroAI started the company with the aim of providing affordable automotive accessories to Americans and other citizens of the world. While the company has expanded its product portfolio, its OBD scanners are arguably the most loved products. A reasonably priced OBD2 scan tool, the AstroAI OS720 is compatible with most OBD2-compliant vehicles. The scanner supports all OBD2 protocols. AstroAI OS720 works on most gasoline vehicles sold in the USA since 1996. Audew is not a household name just yet; at least not in OBD. 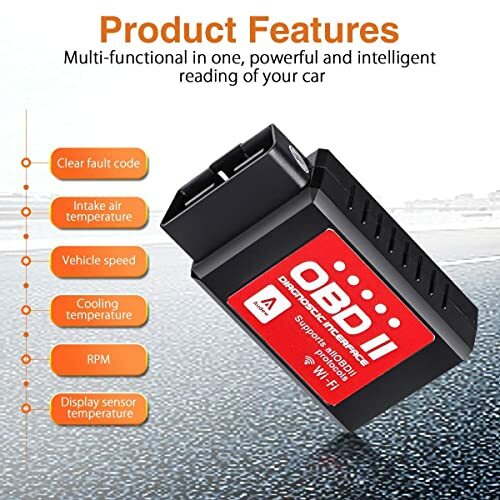 That’s probably down to the fact that this OBD scanner brand features only one diagnostic product. The company does, however, have several other products, including air compressors, seat cushions, battery switches, etc. Develops only one OBD scanner. The makers can focus on making this one scanner as good as it possibly can be. Autel is one of the big boys in OBD manufacture. Founded in 2014, the Germany-based company specializes in the manufacture of diagnostic tools and other automotive accessories. The ML619 is capable of retrieving engine, ABS and SRS codes on almost all OBD2-compliant vehicles. Being built for car owners and DIYers, this OBD2 scan tool also supports viewing of live data and freeze frame data. What’s more, you can graph the data and even print your diagnostic results via PC. 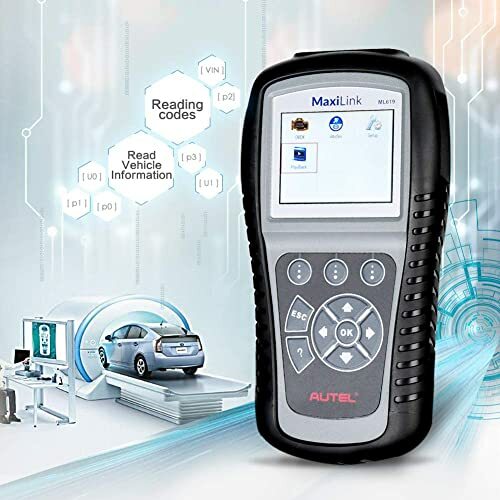 Autel MaxiLink ML619 is easy to read codes and vehicle information. 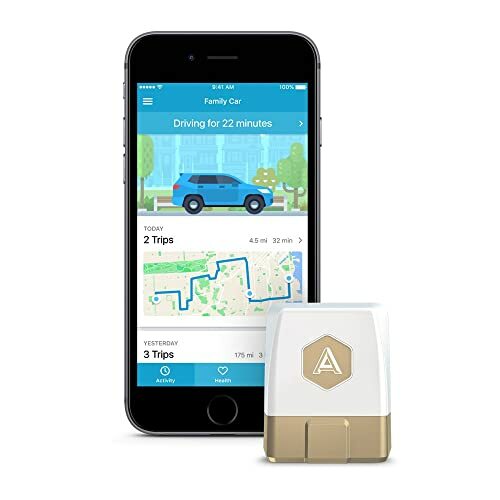 Based in San Francisco, Automatic Pro seeks to empower ordinary drivers by producing affordable and simple-to-use adapters. While the prices could get lower, Automatic Pro adapters are undoubtedly simple. Automatic Pro offers Trip Guide that helps users know where their car is at all times. Established in 2010, Autophix focuses on creating technology that can help car users to perform DIY diagnostics. With a product range that includes wireless adapters and stand-alone scanners, the company wins its customers through competitive pricing. With a wide vehicle coverage that includes all OBD2 cars and light trucks, the Autophix OM126 supports all five main OBD2 protocols. 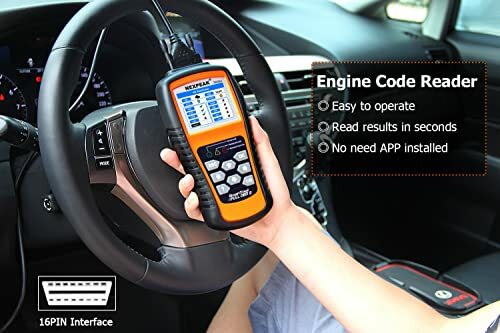 It’s an engine code reader that reads and clears all engine codes. Additionally, the scanner supports dynamic data streams, freeze frame data, EVAP system tests, O2 sensor tests, on-board monitor tests and so much more. BAFX Products is the company behind the BAFX OBD2 adapter. With a USA-based support center, this OBD manufacturer focuses on customer satisfaction. That’s why BAFX adapters come with a 2-year warranty as a guarantee of quality. The difference between BAFX for iPhone and BAFX for Android & Windows is the platform. While the latter work on Android and Windows-based smartphones, the former is compatible with iOS-based devices. 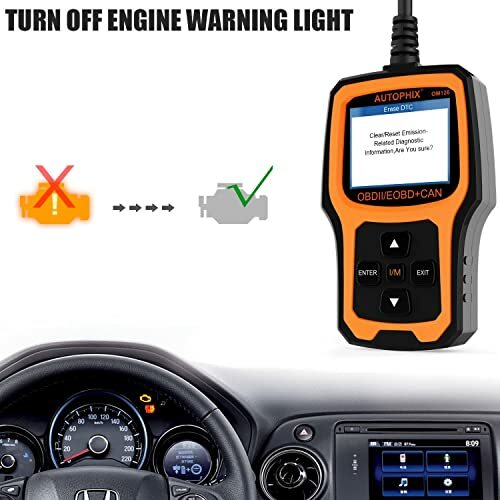 Either way, this OBD2 scan tool allows you to read and reset Check Engine Light codes, view and graph live sensor data from the engine, run smog tests and so much more. 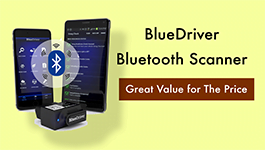 Bluedriver is one of those OBD scanner brands with only one OBD tool in their product line. In this case, it’s the Bluedriver Bluetooth OBD2 scanner. 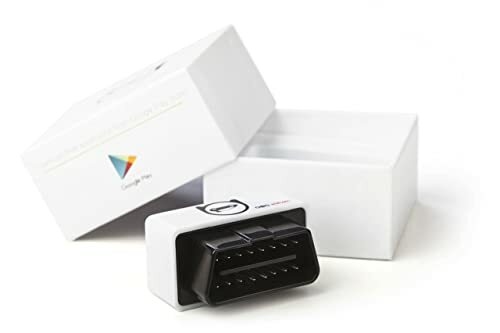 Undoubtedly one of the most popular (if not the most popular) diagnostic adapter, this dongle has earned its solid reputation because of its compatibility with both iOS and Android devices. Just in case you’re wondering, Bluedriver has other products besides the scanner. They also have a compression tester kit, fuel pressure tester kit, and multimeter. The Bluedriver adapter works exclusively with the Bluedriver app to bring diagnostics to your phone or tablet. 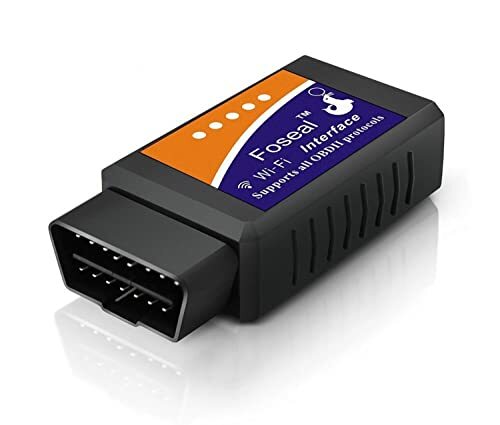 Compatible with iOS and Android, this dongle can read and clear engine codes on all OBD2-compliant vehicles and enhanced codes on select car brands (BMW, Chrysler, Ford GM, Honda, Nissan, Toyota, and VW). It also supports live data, freeze frame data, smog check and Mode 6. 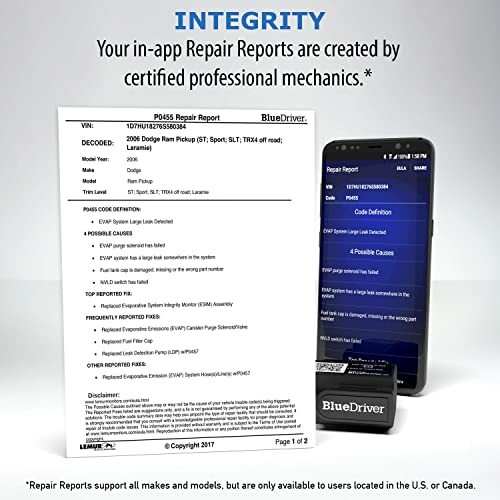 Bluedriver offers in-app Repair Reports created by certified professional mechanics. 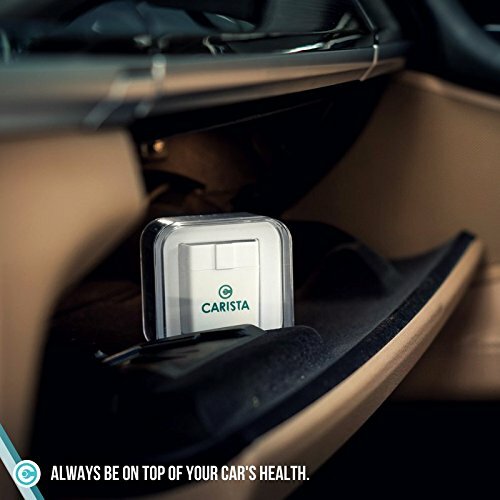 Carista is an OBD brand that offers an adapter and app. It’s probably the most specialized OBD producer out there seeing as it only has one device and one app. Carista is an unbelievably affordable OBD2 adapter. Yet it offers some of the best features you may need to perform diagnostics successfully. For instance, it supports the diagnosis of all available modules. Here you are looking at the ECU, ABS, SRS, transmission, SAS, EPB and any other system. In some vehicles (like VAG) it can show emission readiness, pull ECU info and perform EPB retraction. But you may need to subscribe to the premium version of the app to enjoy these services. Otherwise, it’s a worthy acquisition for any car owner. Carly is a German OBD scanner brand that makes not only wireless adapters but also diagnostic software. It’s only logical because adapters can’t work without diagnostic apps or software. Currently, the company focuses on apps that are compatible with iOS and Android devices. The perfect tool for owners of German-made cars. 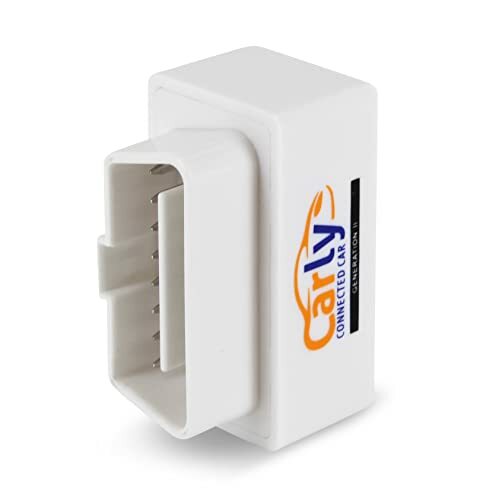 Designed for Android smartphones and tablets, this version of Carly’s OBD2 adapter is compatible with BMW, Mercedes Benz, Porsche, Renault, and Toyota cars. With it you can run OBD2 diagnostics on available systems, view live data in the form of gauges, pull freeze frame data, perform service resets, DPF regeneration, analyze the battery and finally do coding and adaptation. Carly Gen 2 gives you the convenience of a diagnostics checks at any time. FIXD is an OBD scanner brand whose sole product is the FIXD OBD2 adapter. With over a million adapters sold worldwide, it would be accurate to say that FIXD is one of the most popular brands. Focuses on one product only; the FIXD adapter. That makes it easier to perfect the product. 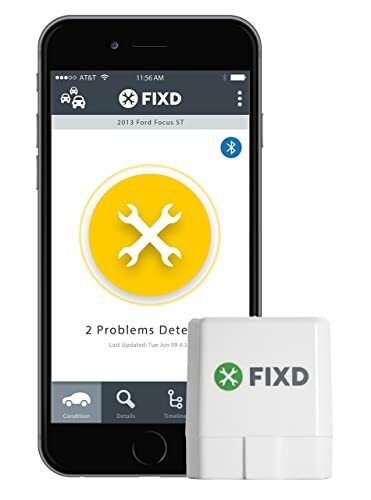 The FIXD Car Health Monitor pairs with your iOS or Android device using Bluetooth. Alongside the FIXD app, this OBD2 scanner pulls engine codes and lets you know why the Check Engine Light is on. Although the displays of various devices vary, the application mostly looks the same across devices. Foseal is an OBD manufacturer that also makes other car accessories such as air compressors and rainproof car rear-view mirror films. More importantly to our context is the fact that the company makes OBD2 compliant scan tools. It primarily caters for people who own 1996 or newer models of cars and light trucks. This is an improved version of the original Foseal OBD2 adapter. In addition to doing everything that the original Foseal scanner does, the newer version features indicators for LEDs. That’s crucial for anyone who doesn’t know what each LED means. In terms of diagnostics, this new version supports reading and erasing of engine codes. It can tell you why the MIL is on, and even proceed to reset the light. Additionally, the scanner is capable of displaying real-time sensor data. Foseal supports Windows, Android, iOS and other apps. Foxwell invests at least 20% of its revenue in the research and development of new OBD technology. Unsurprisingly, the Foxwell OBD scanner brand is one of the most raved and highly reputable. The company’s product line includes a top shelf, high-end OBD scanners to basic code readers for the ordinary car owner. 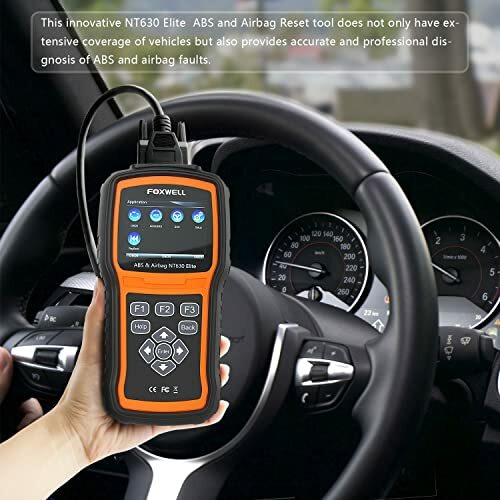 The NT630 Elite is a well-rounded OBD scanner that not only reads and clears ABS, SRS & SAS codes but also performs ABS bleeding as well as ABS and SRS active tests. It works on a vast number of vehicles, including the most common domestic and foreign brands like GM, Ford, Chrysler, Toyota, BMW, VW, and Audi. iCarsoft distributes its OBD scanners to over 60 countries worldwide. But that’s not the fascinating thing. This OBD manufacturer mostly develops brand-specific tools. Meaning you get a device that’s configured to perform diagnostics on your particular car make. It does have some multi-brand tools as well so your options are open. The iCarsoft MBII can is one of the most excellent scan tools out there. Being Designed for OBD2 vehicles, this device can read and erase codes in all the available systems. It supports a wide range of service functions, including oil light service, EPB reset, SAS calibration and many more. Additionally, the MBII can display live data streams, pull freeze frame data and perform O2 sensor tests. And that’s just a highlight of what this mid-range tool can do. iCarSoft MB II offers a variety of useful features. Innova is among the industry leaders in the manufacture of automotive diagnostic scanners. Based in the USA, the OBD producer boasts up to 20 years’ experience in the field. It supplies OBD scanners across the world. A simple and straightforward scan tool, the Innova 3040E is compatible with domestic and foreign OBD2 vehicles. It can read and erase engine as well as ABS codes. As such, you can use it to reset the MIL and ABS warning light. Besides, the 3040E can reset the oil service light, read live data and diagnose a car’s battery and alternator. The all-in-one display screen of Innova 3040E can provide you with 25 different bits of information. 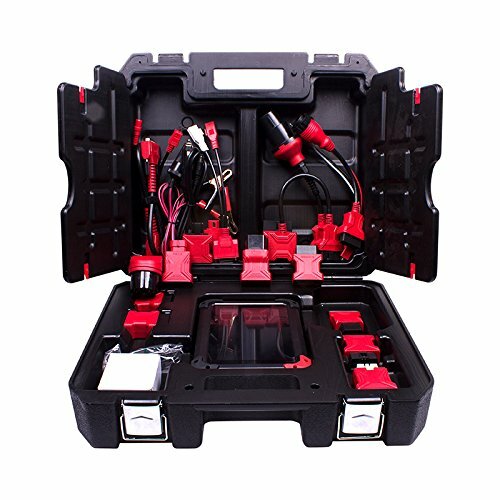 Since its foundation in 2015, JDiag has grown to become quite a popular OBD scanner brand. That mainly boils down to the company’s low-cost scan tools. As a matter of fact, most are code readers and adapters that an ordinary car owner may need. 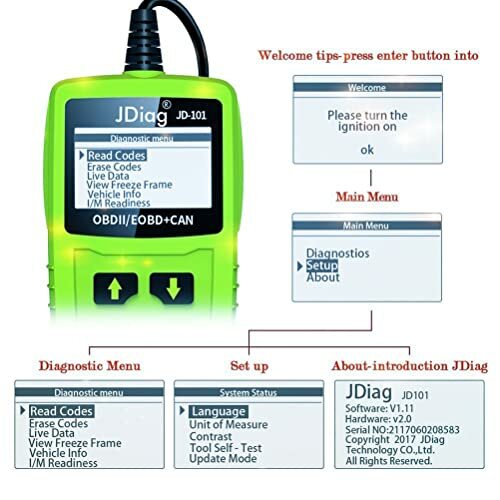 A brightly colored scanner, the JDiag JD101 supports 5 OBD2 protocols. With it, you can pull codes, erase them, read live PCM data, view freeze frame data, check I/M readiness status, and view vehicle information (VIN, CIN, and CVN). All those are functions that ordinary car owners and some DIYers need to keep cars running smoothly. 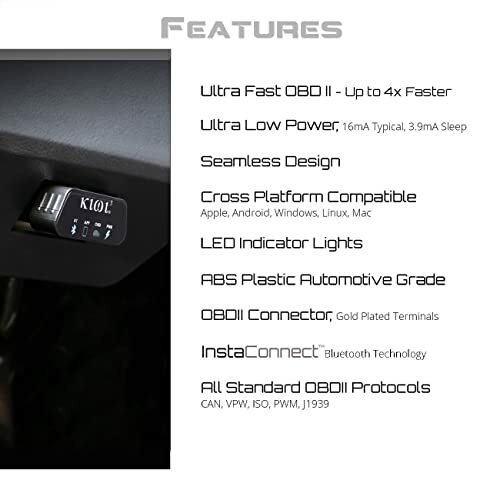 Kobra Products is an OBD scanner brand that also features several other products. From iPhone screen protectors to herb grinders and even LED bulbs, Kobra has them all. More importantly, the company makes some very popular OBD2 wireless adapters for ordinary car owners and DIYers. A very affordable tool, this OBD2 Bluetooth adapter works on Android and Windows devices. It is compatible with virtually all OBD2-compliant vehicles. 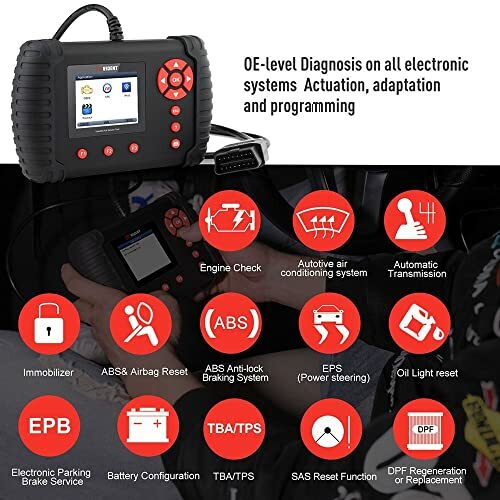 In terms of functionality, the OBD2 diagnostic tool is capable of displaying and erasing engine codes, turning the MIL off and pulling live data streams. Overall, it’s an excellent tool for any car owner who desires to perform diagnostics using their phone or tablet. Kobra WiFi OBD Scanner works on all vehicles 1996 and newer. KONNWEI is the OBD scanner brand for the company Shenzhen Jia Wei Heng Xin Technology Co. Established in 1998, KONNWEI specializes in making car diagnostic tools and code readers. The Chinese-based company partners with tech giants like Panasonic to produce high-grade diagnostic devices. Based in Guangxi province, China, Kzyee was established in 2006. 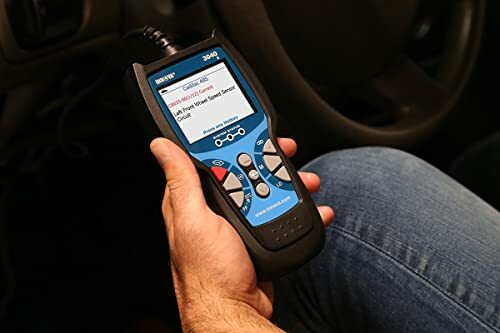 Besides years of experience in the industry, perhaps the best thing about this OBD producer is that they focus solely on making vehicle testing tools. All their resources, as well as R&D, go into the development of tools that car owners need. The company’s OBD scanners are generally small, sturdy and straightforward to use. Designed for class 8 heavy-duty trucks, the KC601 comes with one 6-pin and one 9-pin cable for maximum compatibility. 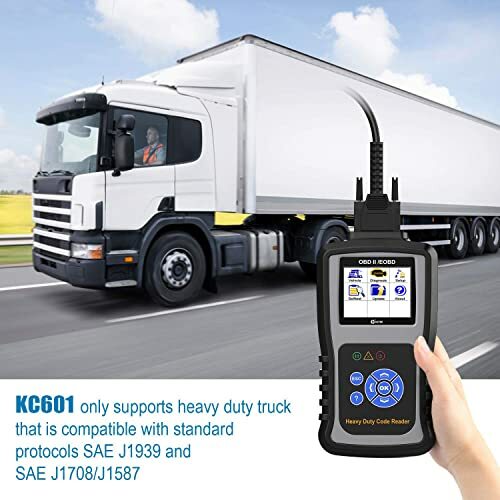 It supports a wide selection of functions, ranging from reading DTCs, clearing DTCs and displaying live data streams to diagnosing the diesel particulate filter. Simply put, the KC601 is a perfect companion for any truck driver or owner. Kzyee KC601 only supports heavy duty truck. Launch Tech is among the world’s leading OBD scanner brands. With operations in the USA, Europe, and Asia, the company takes pride in having a wide product line of OBD scanners. Additionally, Launch Tech uses software that not only ensures extensive vehicle coverage but also supports basic, intermediate and professional-level diagnostics. In other words, there’s a Launch scanner for every type of user. A full OBD2 scanner, the Launch Creader VII+ supports all the ten modes of OBD2. It’s capable of reading and erasing engine, ABS, SRS and transmission codes. 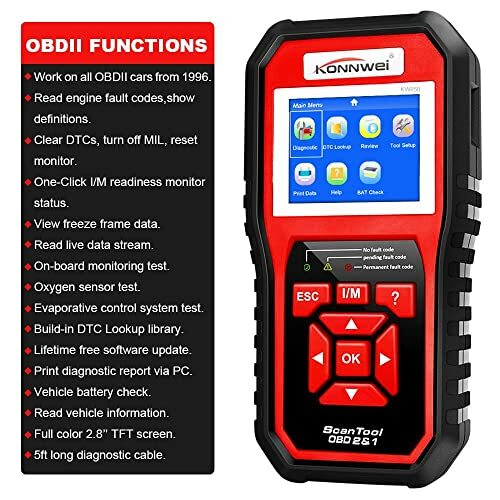 Additionally, the OBD2 scan tool supports live data streams, freeze frame data, smog test, O2 sensor test, I/M readiness, EVAP system test, and on-board monitor tests. Launch Creader VII+ OBD2 Scanner supports full OBD2 funtions. NEXAS makes OBD scanners for the cost conscious consumer. While they are lowly priced, these scanners are by no means cheap. In a bid to ensure that each product meets consumer needs, NEXAS invests at least 20% of its revenue in research and development. 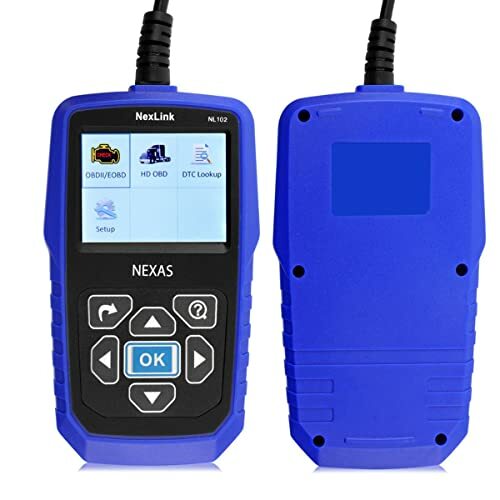 Although it’s primarily a heavy-duty truck diagnostic tool, the Nexas NL102 can also scan OBD2-compliant cars and light trucks. 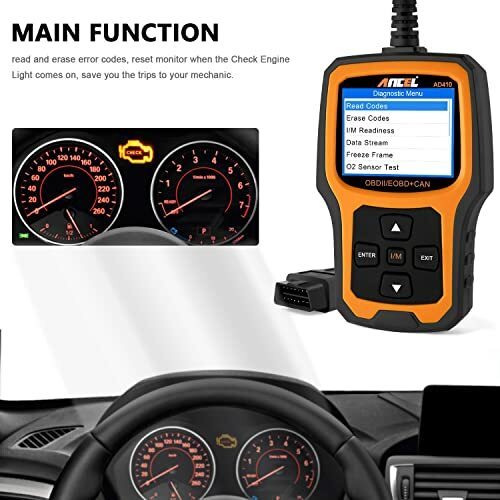 It supports the diagnosis of the engine, SRS, ABS, transmission, instrument panel, suspension, ESP, EPS, and many more systems. Headquartered in Shenzhen, China, Nexpeak is an OBD manufacturer that also makes car electronic accessories. One of the best things about this company is that it focuses on quality. It operates based on ISO9001: 2000 and ISO14001: 2004 quality management systems. Has a super-user program for members who sign up. Privileges include loyalty rewards, an extension of warranty periods and exclusive discounts. Essentially an engine code reader, the NX501 reads and clears codes related to the MIL. It’s an OBD2 scanner that supports up to 5 OBD2 protocols. More impressively, this tool covers all 10 OBD2 modes. Which means that it can test O2 sensors, display I/M readiness, show live data, show freeze frame data, run EVAP sensor tests and so much more. Besides the OBD functions, the scanner also performs battery analysis. nonda is a Californian-based company that provides smart devices. 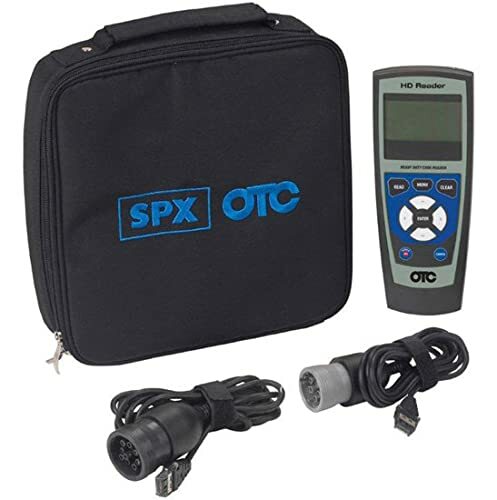 The company’s extensive product line includes one OBD adapter. And while it may not be the most popular diagnostic dongle, the adapter does pack uniquely smart features. The most exciting thing about this tiny dongle is its engine analyzer. It uses a predictive algorithm to pinpoint potential issues and warn you before they occur. That’s quite a contrary to most other scan tools which report after a problem has occurred. It does have the traditional diagnostic functions like codes and data streams. More specifically, it can pull engine codes and display live powertrain data. Each code comes with a brief description. ZUS Nonda has a compact size that is ideal for many car owners. When it comes to wireless diagnostic adapters, OBDeleven is perhaps the most popular OBD scanner brand. The company makes not just an adapter, but accessories for the adapter as well. That includes a carry pouch, phone holder and extension adapter. This particular OBD2 adapter is made for VW and Audi cars. It comes with the OBDeleven app for Android devices. Combined, the two (adapter & app) allow you to run diagnostics, read live data, do coding, perform programming and access service functions (like oil service and brake pad replacement). OBDeleven Pro supports a variety of advanced diagnostic functions. OBDLink is, in fact, a brand under the company OBD Solutions. The latter makes a wide range of OBD products, including diagnostic software, interfaces, and cables. All scanners are produced under the brand OBDLink. 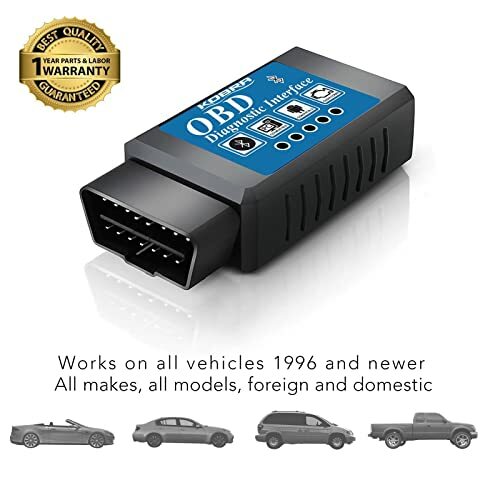 This wireless OBD adapter uses Bluetooth to connect to Android or Windows devices. It comes with the OBDLink app (for Android) and OBDWiz (for Windows). Those two allow you to diagnose the ECU, ABS, SRS, and transmission. They also provide live data and freeze frame data. OBDStar is a Chinese-based OBD scanner brand that was founded in 2007. That makes it one of the oldest OBD manufacturers. With experience comes quality; which is evident in OBDStar’s products. 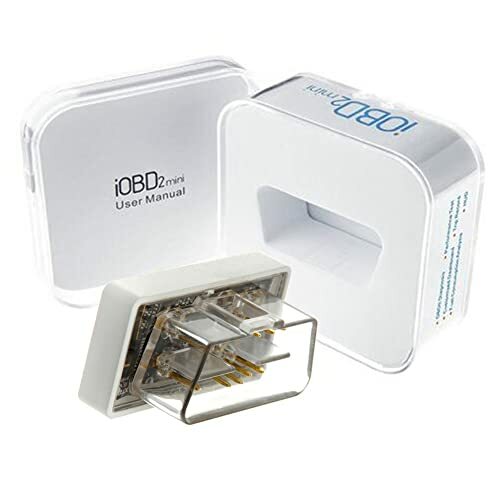 The IOBD2 Mini Scanner is an OBD2 adapter that works with iOS and Android devices. 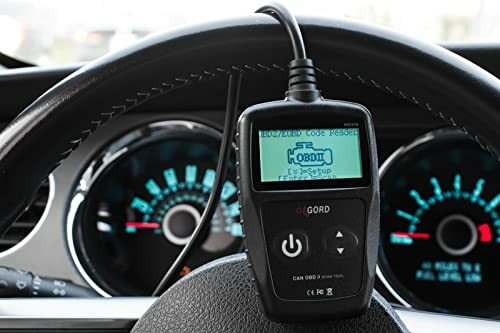 Featuring Bluetooth 4.0, this device connects quickly and relays diagnostic data instantly. It supports reading and clearing of engine codes, displaying of live data streams, freeze frame data, onboard monitoring tests, O2 sensor tests, component tests and pulling of vehicle information. Undoubtedly one of the best adapters for the price. Currently, a part of the Bosch Automotive Service Solutions, OTC started as an independent company. In its early years, the company mainly made tools for farmers and service stations. When cars became staples in American households so did the need to repair them. And OTC was there in handy to manufacture OBD tools. To this day, the company makes diagnostic tools in addition to other aftermarket automotive tools. This scanner reads and clears DTCs on light, mid and heavy-duty trucks (up to class 8). It provides access to the ECU, transmission and ABS systems. Each code comes with a brief description. OTC 3418 works on almost all heavy-duty vehicles and systems. The good people at Oxgord make more products than OBD scanners. The company also manufactures auto parts, pet supplies, and gardening tools. 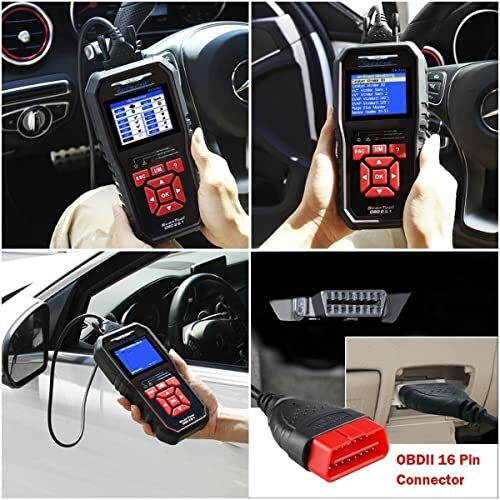 Despite the lack of specialization, Oxgord products are unquestionable of good quality; especially OBD scanners. Featuring a small and compact size of 2.75 x 1 x 4.25 inches, the Oxgord MS309 is an engine code reader. As such, it can read and erase trouble codes related to the engine. With it, you not only get to know why the Check Engine Light is on but also turn off the light. Besides, the OBD2 scanner displays code definitions, live data streams and vehicle information (VIN). Oxgord MS309 both read & clear generic and manufacturer error codes. Founded by Paul Lowchareonkul, the PLX Devices brand boasts 16 years of experience in manufacturing automotive aftermarket devices. As far as diagnostics, this OBD producer specializes in the making of OBD2 adapters for professionals and enthusiasts. Products match the innovation of California’s Silicon Valley where the company is located. An award-winning OBD2 adapter, the Kiwi 3 is a cross-platform scanner that’s compatible with iOS, Android and Windows devices. You can use it with the Kiwi OBD app or a third-party app of your choice. Depending on the app, you may read and erase engine codes, turn off the MIL, view live engine data (up to 125 parameters) and monitor fuel economy. Besides OBD scanners, SEEKONE also makes home and gardening tools. They have everything, from ear otoscopes to heat guns and everything in-between. And while they don’t specialize, they don’t compromise on quality either. That’s especially true when it comes to their OBD scanner. This is the only OBD scanner made by SEEKONE. Being made with car owners in mind, the device allows users to investigate the MIL. It is capable of reading and clearing engine codes. Additionally, the SK860 can display live data from the engine. The scanner resets powertrain monitors, checks I/M readiness and retrieves the VIN automatically. 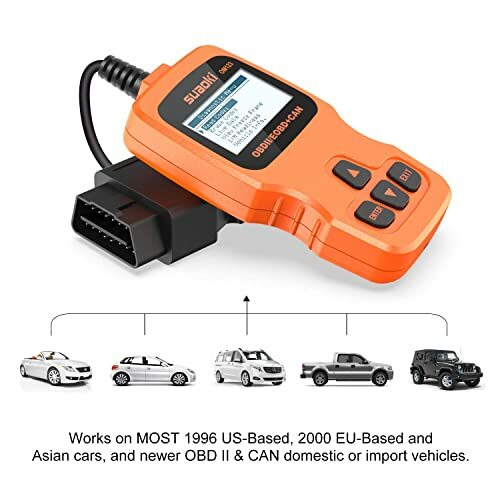 SEEKONE OBD2 Scanner is a professional vehicle doctor for car owners with OBDII 16 pin connector. Snap-On is the oldest and arguably largest OBD scanner brand. The company has been making automotive, aviation, aerospace and construction tools since 1920. It boasts over 65,000 stock keeping units (SKUs), 12,600 employees and associates & $3.7 billion in sales. While not a premium-grade scanner, the Snap-On Solus Ultra packs impressive oomph in its functionality. It has a one-touch full vehicle scan feature that allows you to pull codes and clear them instantly. The scanner supports live data, graphing of PIDs, TPMS function, SAS calibration, EVAP system tests, DPF regeneration, relearns and adaptations. It has the best balance of basic and advanced functions. From its humble beginnings in the Chinese city of Shenzhen, SUAOKI has grown to become a global OBD scanner brand. In addition to making diagnostic tools, the company also manufactures home and gardening tools as well as a wide range of electronics. Founded in 2015, this OBD producer is one of the few companies recording up to $100 million in sales. Currently, the OM123 is the only OBD tool from SUAOKI. An entry-level scanner, this device offers just enough to help you check the health status of your vehicle. It can read and erase engine codes, display code definitions, turn the MIL off, stream dynamic data, display freeze frame data, check the I/M status and pull vehicle information. These are all functions that car owners need at one time or another. SUAOKI OM123 is designed for OBD2-compliant vehicles. Headquartered in Xixiang District (China), Topdon is an OBD producer that makes and supplies professional, DIY and specialty diagnostic tools. The company also makes apps that go with its wireless products. To put it simply, it’s a fully-fledged OBD manufacturer with consumer-oriented products. Has customer support centers and distribution centers around the globe, including the USA and UK. Designed for 12V cars, the Topdon TD309 works on most domestic and foreign OBD2 vehicles. With the ability to read and clear engine codes, it can tell you why the MIL is on and how to turn it off. Additionally, the OBD2 scanner displays freeze frame data and I/M readiness monitor status. VeePeak is a brand of affordable OBD scanners that are designed for car owners and enthusiasts. As an OBD producer, VeePeak mainly focuses on making adapters, although the company has a few stand-alone scanners. Either way, with this OBD scanner brand you’re guaranteed of good quality at an affordable price. Vgate is an OBD scanner brand that’s under the company called OBD Innovations. Based in Silicon Valley, OBD Innovations was founded in 2013. 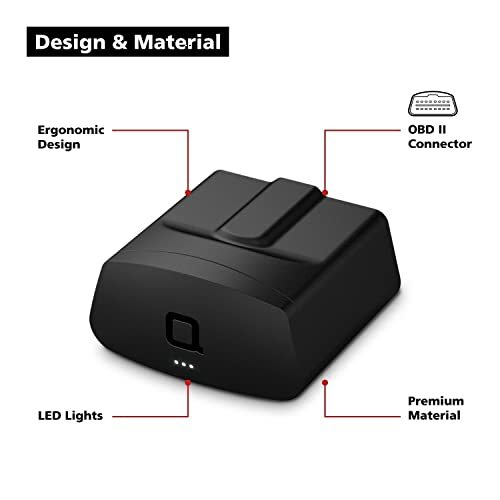 The sole objective of the company is to make creative and user-friendly OBD tools that can be used by everyone; be they average car owners or professional mechanics. This OBD2 scan tool is perfect for reading and clearing codes as well as pulling live data streams from the engine. In addition to telling you why the MIL is on, the scanner can turn off the light. Like many other OBD manufacturers of this age, Vident is located in the Shenzhen metropolis of China. Built on the philosophies of collaboration, innovation, pioneering and excellence, the company makes both basic and enhanced OBD scanners. Vident’s iLink400 is one of the few entry-level scanners that can diagnose all the major systems of a vehicle. It is capable of reading and clearing engine, ABS, SRS, transmission and EPB codes. On top of that, this OBD2 scanner supports all 10 OBD2 modes. It can display live sensor data, graph PIDs, turn off warning lights, check the EVAP system, diagnose O2 sensors, configure the battery and so much more. Vident iLink400 supports Quick Test function to test most common vehicle systems. The one thing that makes VXDiag a unique OBD scanner brand is its use of cloud technology. Every VXDiag scanner can log data to the cloud; which in turn means you can run diagnostics from any location. If you don’t fancy that you may still use a VXDiag in the traditional, offline method. The VXDiag VCX Nano GDS2 is a PC to vehicle interface that works with Windows computers. 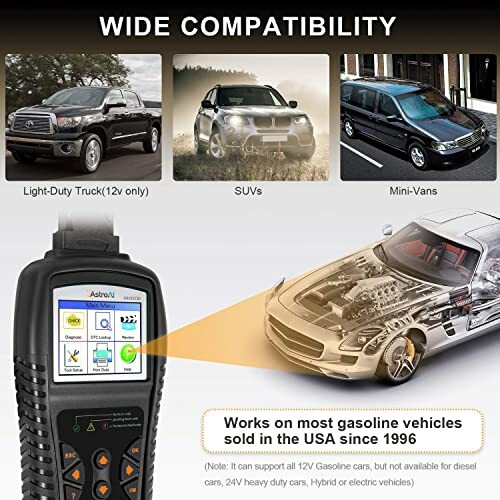 It’s compatible with OBD2-compliant cars, SUVs and light trucks. With this OBD2 scan tool, you can read and erase codes, view freeze frame data, pull vehicle information, perform reset functions and retrieve previous diagnostic data. More impressively, the device supports cloud diagnostics as well as programming. For the latter, you would need to subscribe to VXDiag’s premium services. Founded in 2010 in Shenzhen China, Xtool has grown to be a global leader in the manufacture and supply of automotive accessories. The company boasts a product line that consists of over 20 models of scanners. Focuses on OBD2 scanners. That makes the development of products easier, and it’s evident from the high-quality scanners offered by Xtool. 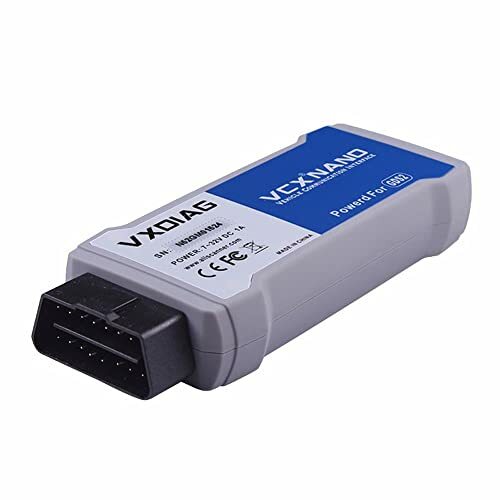 The X100 is a medium-range scan tool that works on domestic, European and Asian cars that are OBD2-compliant. Sold as a full package with all cables and adapters, this scanner performs basic as well as advanced diagnostics. It can read codes, perform OBD2 diagnostics, reset oil, reset TPMS, do throttle body adaptation, reset the battery, program keys and reset IMMO. It’s undoubtedly one of the most fully-fledged tools on the market today. Xtuner is not the most popular OBD scanner brand, but it does have some premium tools in its product line. Founded in 2016, the Shenzhen-based company makes OBD scanners that use wireless connectivity. 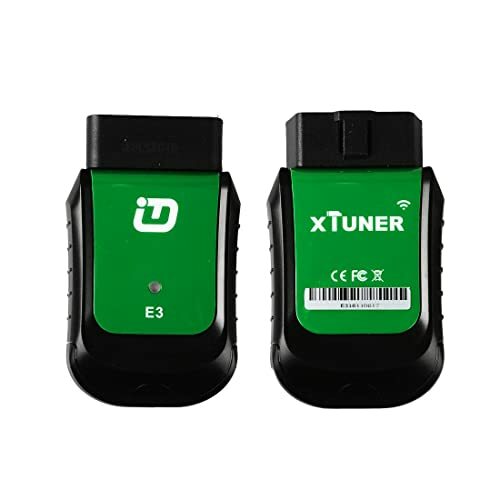 A Wi-Fi diagnostic adapter, the Xtuner V9.3 E3 works on over 78 car brands worldwide. It’s compatible with all versions of Windows from XP all through Windows 10. In terms of functions, this device scans major systems like ECU, transmission, ABS, and airbag. It also supports service functions like throttle adaptation, SAS calibration, ECU initial startup, bleeding, oil change, EPB, TPMS, battery analysis, etc. Additionally, the scanner can perform several reset functions like oil service reset, DPF reset, and EPB reset, just to name a few.